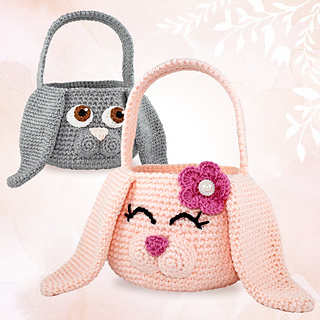 Make a cute and fun Easter bunny basket for your fun festivities. 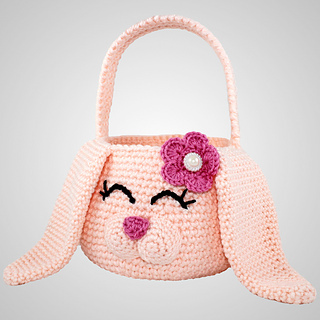 You can make this adorable Easter bunny basket for both boys and girls! Customize it with favorite colors and you have the option between open or closed eyes. -Skills: single crochet, double crochet, half double crochet, slip stitch, working in rounds, basic increasing & basic sewing. -Hooks: You will need a 4/4.25 mm (G), 5 mm (H) & 5.5 mm (I) hook, and 6mm (J) IF YOUR GAUGE MATCHES MINE! 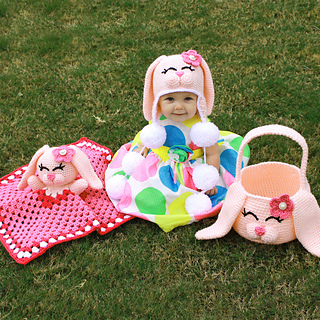 -Vanna’s Choice Yarn- You will need 3 balls of main color for both girl and boy basket. You are welcome to sell any items made from this pattern, but please give credit with a link back to my website www.briabby.com. This pattern along with all images are copyrighted and you must use your own photos to represent your work. 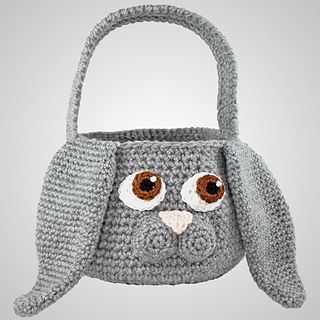 If you do make this bunny basket for sale, you are welcome to add your shop info to my Facebook vendors listing (in the comments below the picture of the item you sell) here goo.gl/XpXDRq. This is where I send customers who come to me asking for someone to make the actual product for them.